As we establish ourselves into Spain, I can’t help but love Jen Baluk. This adventure and the citizens of the world, old friends, new friendships, the youthfulness, whimsical experiences and everything in-between. I am blessed to be here and loving the opportunity is all I can do. The first day in, we stayed at a “hotel” called Centre Esplai Albergue. Not a hotel. I booked it because it’s the closest to the airport and with a midnight flight, it made sense. Upon arrival, we quickly concluded it’s a moderately renovated psychiatric ward. The lingering halls were daunting with white walls and poor air circulation. In the morning, we came across various individuals whom reinforced this initial thought. Yet, a good experience and a place to sleep! The days that followed into Barcelona were filled with trekking around Las Ramblas (the main shopping street, otherwise known as La Rambla) and the beach. And another beach day. And another beach day. We did beach in fact every day because it had been so long since Jay and I had been to a warm one (Jesse lives in Florida). 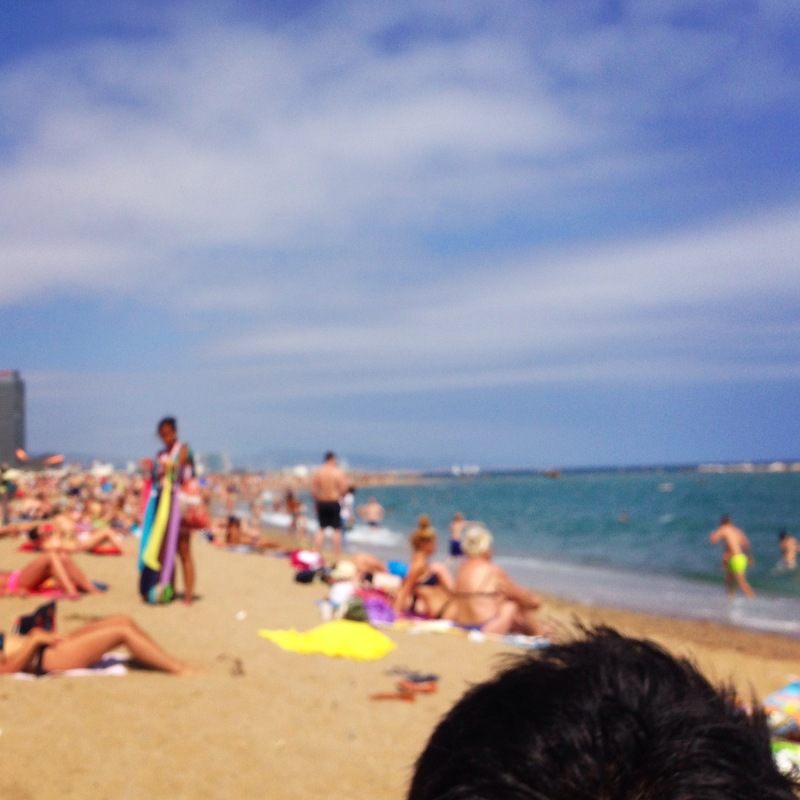 For any of those who have been to the beach in Barcelona… “sangrias… mojitos…” (and repeat). 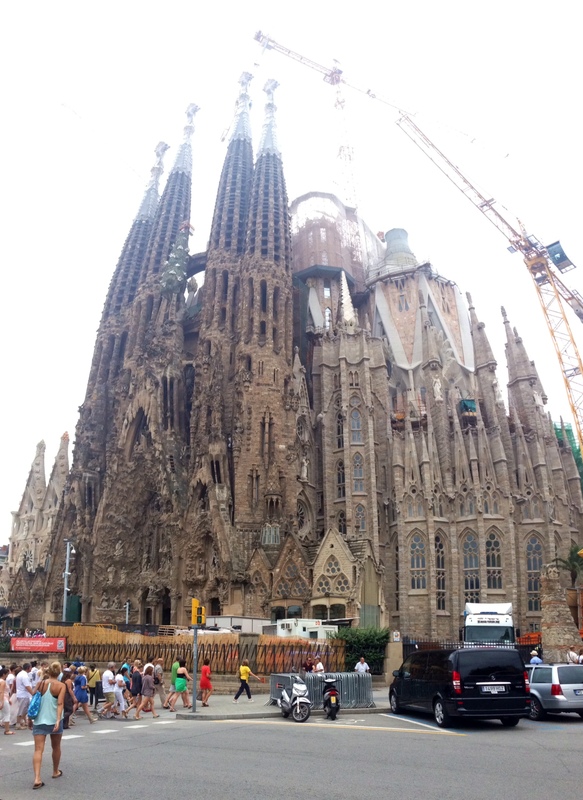 Also in the daily grind, we visited many of Antoni Gaudí’s works within the city. The obvious attraction was the Segrada Família. It exceeded all of the hype. Seconds after walking in, I had goosebumps run through my body at the mere sight of the interior columns and massive ceilings. Jesse quickly looked over at me and stated the same feeling. We spent over a few hours in pure fascination with very few words exchanged. An absolute must for anyone traveling through Barcelona. Another landmark we visited is the grounds of the 1992 Summer Olympics XXV. This was the first time I have been to a monumental world landmark. It was mesmerizing to stand in a place in history where the world’s greatest athletes once competed. I can only imagine the overwhelming feeling it would be to stand in Jerusalem where Jesus once stood. 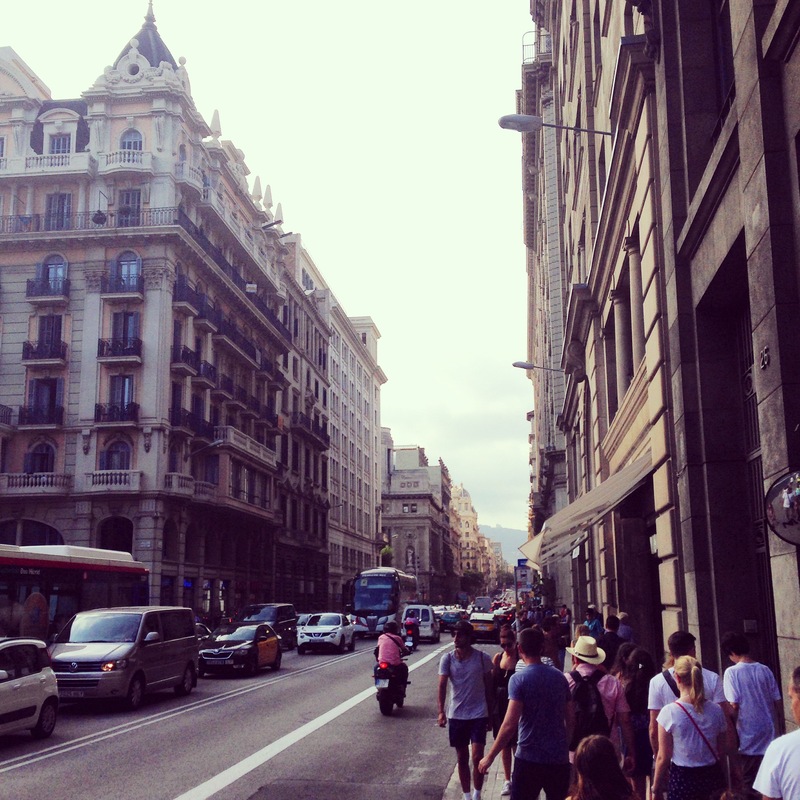 Overall, the time in Barcelona only grew my love for this world and its people. 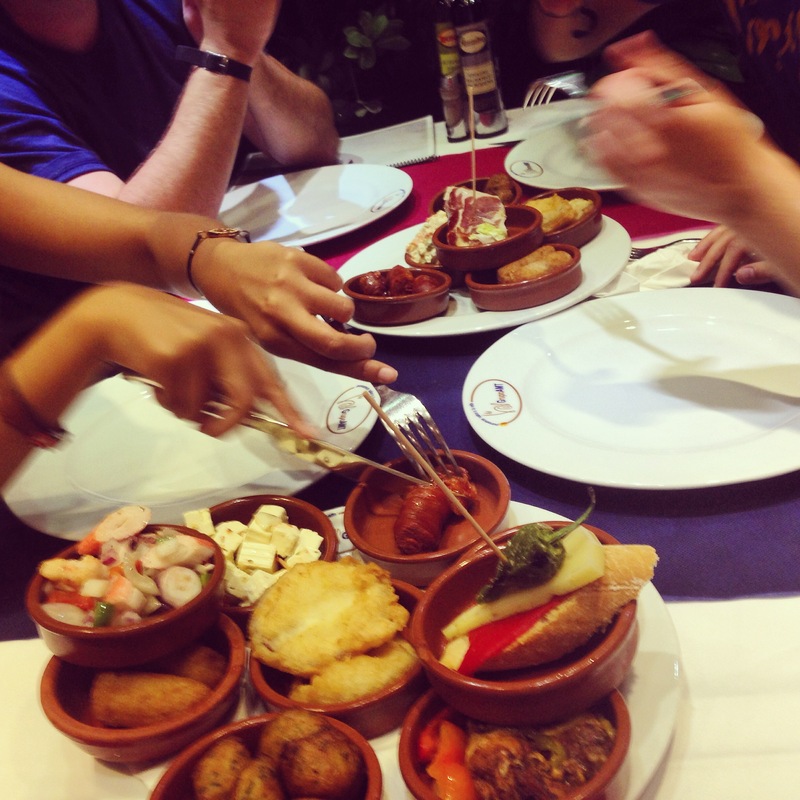 We wrapped up our time in the city with new Canadian friends and what I believe was some great tapas (eh!). In the morning, we taxied over to the train station where we (finally) arrived at our new location in Moncofa, Spain. More on that story later.